He set the benchmark for modern dance producers, releasing the smash hit ‘Sandstorm’ back in 1999 and selling over 2.5 million copies, the track featured on over 300 compilations. Fifteen years later, he’s still setting crowds alight, with Peking Duk dropping ‘Sandstorm’ in live sets and triple j’s Matt and Alex celebrating his name. 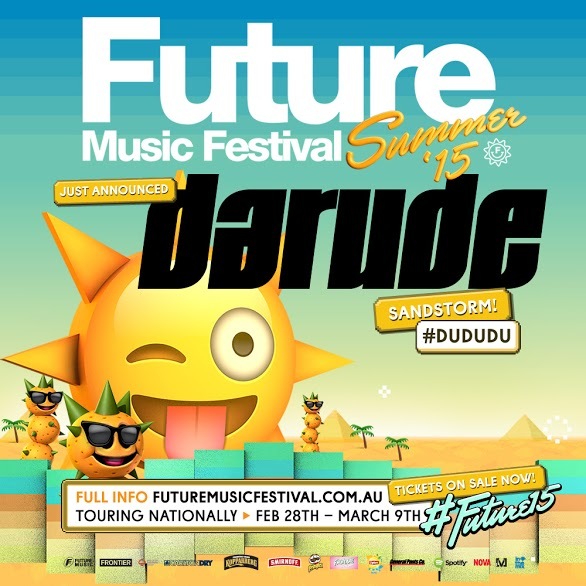 Future Music Festival is thrilled to announce a brand new addition to our 2015 line-up: the one-and-only Darude! 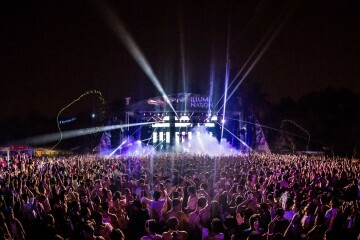 Recognised by DJ Mag as “Finland’s biggest musical export”, Darude (Ville Virtanen) hails from Hinnerjoki, but has for many years lived in Atlanta (USA). He recently saw his iconic track ‘Sandstorm’ storm back into the Aussie charts, ‘Sandstorm’ hitting #18 on the Australian iTunes chart with thanks to name checks from Peking Duk and beyond. The legendary producer is so popular that a local Pozible campaign was launched in November (by Noisey/Thump writer and rap squat aficionado Rei Barker) to bring Darude out on tour… check it out here. Rei, you’ve got your wish! While Darude is responsible for releasing the world’s best selling 12″ vinyl of 2000, he’s also one of the most well-travelled DJs out of the US – clocking over 140,000 miles annually. Darude recently wrapped up a world tour in support of his brand new remix album, Salmiakki Sessions Vol 1 and is working on his upcoming fourth album. Darude first leapt to fame back in 1999 when ‘Sandstorm’ topped charts worldwide – #1 in Norway for 17 weeks and reaching the top 10 in most European countries. He followed that up with club smash ‘Feel The Beat’, which appeared on his acclaimed 2000 album Before the Storm, earning him three Finnish Grammy Awards. He’s sold over five million records worldwide to date. In 2011 alongside friend Randy Boyer, Darude set up his own imprint, EnMass Music. 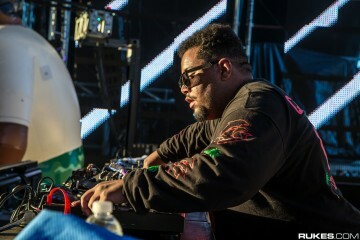 He’s remixed artists like Robyn, Paul Corson, J Nitti and Miss Thunderpussy and in 2015 headlines ‘The Groove Cruise’s five-day dance cruise. With a legendary status and long-terms success, Future Music Festival are excited to welcome Darude down under! Catch Darude joining the Future party alongside such Drake, Avicii, the Prodigy and many more this summer! Tickets are on sale now.